SADLY WE HAVE HAD TO CANCEL THIS EVENT. WE HOPE TO RESCHEDULE IT IN THE AUTUMN. Our next East Cork Slow Food event takes place next week! Camilla Plum from Fuglebjerggaard Organic Farm, Denmark will give a short demonstration on the theme, Danish Family Cooking. 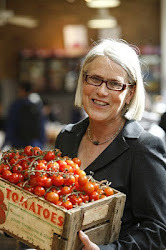 She was a speaker at our inaugral Kerrygold Ballymaloe Literary Festival of Food and Wine. We are delighted to be welcoming her back. Camilla is one of the most beautiful cooks I know. I love her food and it's always a joy for me to cook with her and to be invited to join her table. Whenever she comes to stay with me, she dons an apron, twists a scarf around her head, and disappears off into the garden. She returns with her apron full of fruits, vegetables, fresh herbs and foraged goodies ready to cook a yummy supper. So she's my dream house-guest. In the last number of years Copenhagen has become centre of the gastronomic world. The Nordic food revolution it spawned has inspired people all over the world. But the food that restaurants like Noma serve - although sublime - is quite different to the wholesome and delicious seasonal Danish home cooking that people are less familiar with. She published her first cookbook of healthy organic food in 1983. 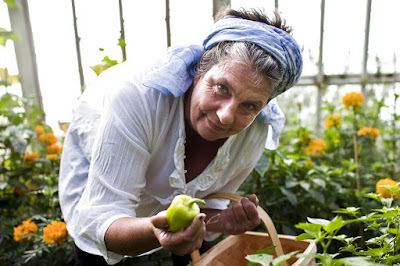 She worked as an organic cook whilst also writing about food for Politiken until 1987. In 1991 she founded the organic food company Den Rene Vare (‘The Real Thing’). The company’s work included the conversion of public institutions to organic food, door-to-door deliveries of organic food, cookbooks for organic kindergartens and organic catering. In 1992 Camilla opened Denmark’s first organic restaurant, Cap Horn, and was recognised by the Danish Gastronomic Academy for her ‘Achievements in Organic Gastronomy’. Over the course of her career she has published 17 books and worked on numerous TV series featuring such topics as gardening, slow food and baking. I am an event photographer, I love this venue, and I will revisit this venue in a heartbeat. They have really great staff and pretty decent drinks. The halls and rooms at venues in NYC are absolutely gorgeous.